Cinemas. I remember them. They were those things I used to go to all the time before I started my medical degree. When I first heard about X Men: First Class I dismissed it as Saved By The Bell with mutants. But when they decided to combine it with the back stories of Xavier and Magneto (previously pitched as two or even three separate movies) it started to get interesting again. So off to Camden Odeon I went. And here’s what I thought. X Men: First Class is awesome. I know I overuse that word, but it really is. For X Men fangirls/boys it’s got just enough new mutants to keep us geeking out without falling into the trap of Last Stand by having too many. Of course, some are more interesting than others. Although Havok’s existence in the movie was cool, the actual character didn’t do much to grab my attention, and Angel (mark 2? ‘cos I know we’ve already had one underused character called Angel) was just wallpaper. Emma Frost was forgotten for half the movie, but she was cool to have around while she was there, Banshee was more fun than I thought he’d be, and other more minor characters fulfilled their roles of having cool powers and then getting out of the way of the plot. From the outset I’ve had issues with the casting of Jennifer Lawrence as Mystique. I’m not even sure what it is about her, she just feels wrong. It doesn’t help that I’ve always imagined Raven with black hair (as she had in Last Stand, and hence the name) but Lawrence’s version was a bit too whiny and not cool enough for one of my favourite X Men. 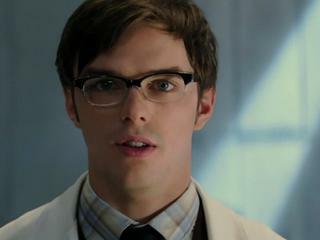 Nicholas Hoult as Beast was almost shockingly good. Beast isn’t a character I’ve ever got that into, and as much as I love Kelsey Grammar I found his portrayal in the third movie clunky. Hoult however captures a nerdy shyness within a strength of character that finally makes Beast sympathetic. His Jekyll and Hyde sub plot is a nice device and although the affinity between him and Mystique is obvious he plays it well. The plot moves along at a good pace and keeps refreshing itself with new obstacles to overcome. There are a couple of great throwaway jokes which have managed to recapture the sort of humour that made the first two movies great, while still giving us the action set pieces that we have come to expect from the big budget superhero movies. The final battle is a feast of visual effects. As perhaps the only blogger on the planet who didn’t trash Wolverine, I found myself trying to fit this film around the timeline of that one, bearing in mind that some characters cross over. There are a couple of bits I couldn’t quite match up (probably mostly due to not having seen Wolverine in a while) but on the whole I think the continuity of this film with the rest of the series is much better than what has gone before. There weren’t any gaping inconsistencies that jumped out at me (apart from possibly one that I need to check) and everything else fit in well with my (albeit limited) knowledge of the X Men universe. Made this Marvel geek very happy. There’s not much else I can say without wandering into spoiler territory. Most of the reason I love X Men is centred around a certain adamantium clawed anti-hero , yet I didn’t find myself missing him. It looks like the X Men movies are finally back on track after one or two slight derailments. All I know is I left the cinema a couple of hours ago and I already want to go see it again. And again. Oh, and if that was enough for you, this movie contains the best cameo appearance ever. Ever. I know this blog has got pretty Marvel heavy recently but I couldn’t let this one go by without a post. I’ve already caught it on three different blogs this morning so I’d be letting the side down if I didn’t post it too! X Men: First Class. I had reservations. Then they cast McAvoy. Now we have a trailer. And it looks gooooooood!